Q277-02 going slowly west on Track 2 Main in Broadford. 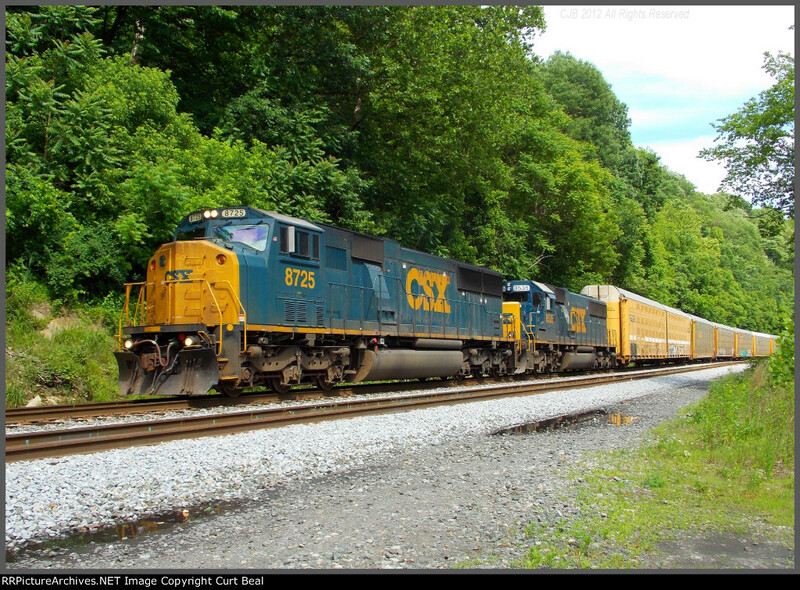 CSX 8725 was built as Conrail 5583. Someone has apparently realized this, as they have written "Go Big Blue" in the grime on the cab. CSX only received 12 of these EMD SD60I's in the Conrail merger. CSX 8535 is former Seaboard 8535 built in 1984.